With its excellent location and transport links, Haywards Heath has a thriving business community. Many medium and large sized businesses are based in the town and its surrounding areas. The regeneration of the area around Haywards Heath Rail Station is expected to further grow the business opportunities. The Town Council works closely with the town’s business community and its businesses are supported by The Haywards Heath Town Team and the Haywards Heath Business Association (HHDBA). The Haywards Heath Town Team is a not-for-profit community organisation that seeks to develop and promote the benefits and growth of Haywards Heath for its residents and business communities. It will organise events throughout the year for the enjoyment of all ages while promoting a sustainable and healthy lifestyle. The development and growth of the local economy will also be a primary objective of this organisation. To work for, and with, the community to stage events which encourage a spirit of inclusivity for the benefit of the residents, for their health and wellbeing and for the local economy and its sustainability. To support the local District and Town Council in their objectives to create vibrant communities and a strong local economy. To promote and support retail activity and investment in the Town. To promote the concept of hubs/villages to connect the disparate parts of the town, including retail and business quarters. To liaise, as required, with all businesses in the hubs to support their aspirations for the improvement of the local infrastructure and environment. Working with commercial agents, the Councils and the Business Association, to identify and promote inward investment opportunities from outside the district. To promote Haywards Heath and its environs as a tourist destination. To work with all partners to make the most of Haywards Heath ’s growing population and resilient economy. To visit the Haywards Heath Town Team’s website, please click on their logo above. The Haywards Heath Business Association promotes co-operation between businesses in the area. It has free social networking events to enable you to meet and share ideas and experiences with other businesses in Haywards Heath. 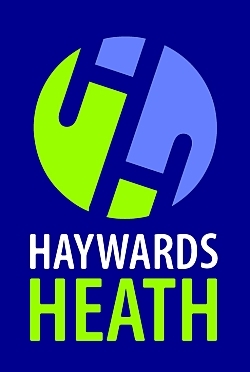 To visit the Haywards Heath Business Association website, please click on their logo above. Coast to Capital is a unique business-led collaboration between the private, public and education sectors across a diverse area which includes the London Borough of Croydon, East Surrey, Gatwick Diamond, Brighton & Hove, Lewes and West Sussex. For more information on Coast to Capital, please click here. 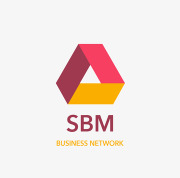 The First Friday Network is a monthly free business networking event held on various Fridays with meetings across the country, including East and West Sussex, Surry, Kent and Hampshire. All the networks are linked but are run by local business people servicing the business community by way of offering the chance to network and to promote and exchange ideas. 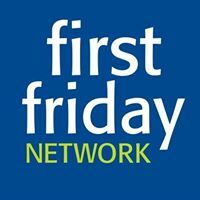 For more informationon the First Friday Network or to find events in your area, please click here. If you want to share, learn and apply key successful principles and habits that can help you to get where you want to be, then Sussex Business Mindset Meetup might be the group for you. They meet monthly at The Town Hall in Haywards Heath to exchange ideas and experiences and all are welcome. Sussex Chamber of Commerce is Accredited by the British Chambers of Commerce (BCC) a dynamic and independent business network with Accredited Chambers in every region of the UK and in key markets around the world. We provide a range of business services designed to support your company as well as hosting a wide variety of events through out the year. For more information on the Sussex Chamber of commerce, please click on their logo above.